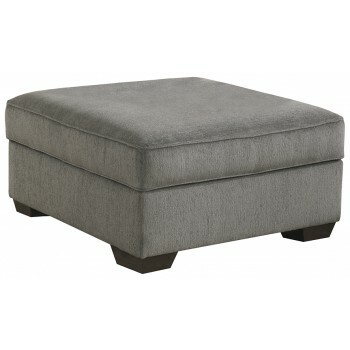 There are plenty of reasons to love having this ottoman nearby. An oversized scale creates plenty of room to spread about and relax. And while elevating your feet on the plush upholstered cushion, spacious storage underneath houses throws, reading material and other essentials.